War. War never changes. Once a dour stick in the mud, he remains a dour stick in the mud. One would have trouble faulting this general attitude. War, along with his fellow horseman, are in the sole employ of the Charred Council to maintain the balance between the kingdoms of angels and demons, with an eye on protecting the third kingdom, that of man. Some silly goose decided to kick start the apocalypse, leading all to believe that the required Seven Seals have been broken. Taking the battle to the chaotic city streets of man, War soon finds that he, along with the generals of Heaven and Hell, were fooled, and the blame was pinned solely on War. After pleading with the Council for a chance to clear his name, he is given the opportunity under the sarcastic supervision of The Watcher. Returning to Earth a full century after the Fauxpocalypse, he proceeds about his grisly work, maiming and killing any demon or angel who crosses his path. 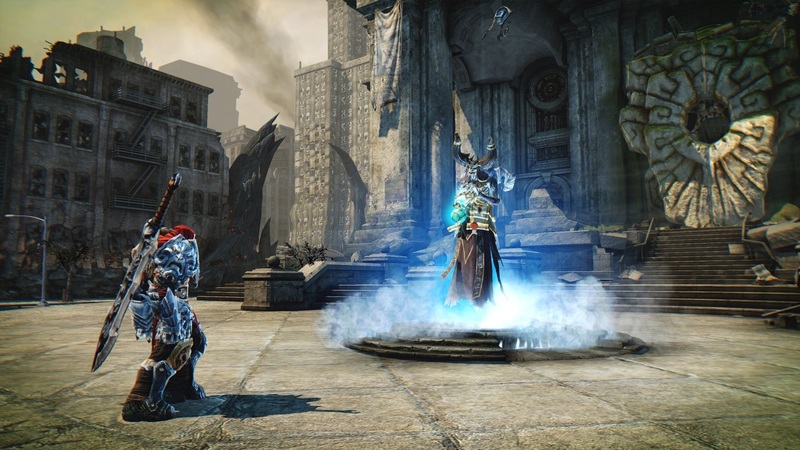 Being as Darksiders: Warmastered Edition is a re-release of Vigil’s almost seven year old game, it seems wisest to note what is new here. The (excellent) campaign remains unchanged. Everything is exactly as a returning player remembers. Instead, it was the visuals that have received a touch up. Displaying at a native 1080p, the game is sharper than it has ever been. Some work has also gone into the textures. The character models, as well as the climbable webbing, now appear to be much sharper and more vibrant than before. Not much was required to touch up the actual models outside of some better textures, though. The original possessed an art style that stands against the ravages of time. The only item that does not look demonstrably better can be found in some of the grey concrete buildings, which seem noticeably off when compared to the rest of the game. Still, for the price, this edition serves as a worthy excuse to replay the game. That’s all well and good for returning players, but there is ample reason for the uninitiated to jump in as well. 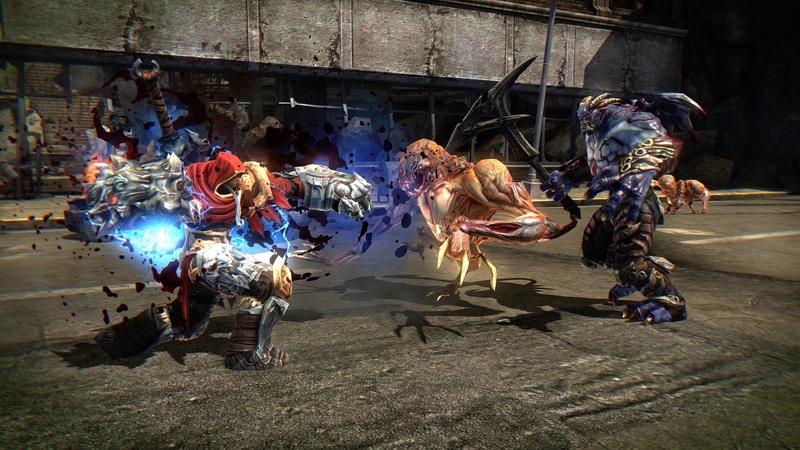 Concisely put, the gameplay found in Darksiders eight (or more) hour campaign is sublime. The easiest way to describe it is a melding of God of War combat inside a linear Zelda style play structure. War will complete a series of small quests to find out where to journey next and proceed there for a discrete dungeon to solve. In said dungeon, a new ability will be learned that allows both the completion of the zone and access to the new one. The combat is a hack and slash affair with upgradable talents (using blue souls taken from the slain) and a few different weapons for variety’s sake. Herein lies the only true caveat to be mentioned in the move to current gen consoles: the Xbox One controller. This might not be an issue for many gamers, but Darksiders makes heavy use of the bumpers for dodging and accessing “spells.” I am one who simply cannot get comfortable with the bumpers on Xbox One controllers and found that battling here was less pleasurable for it. People without this hang up, or have the option to play PC or PlayStation 4, won’t have this issue. Obviously, the game itself bears no blame in this. Notice that nothing in the description of the campaign indicates originality. That is because Darksiders doesn’t have a unique bone in its body. So much gets ripped off, from the aforementioned upgrade and fighting structure, of God of War and Zelda. Even Portal gets pilfered, though the areas were War can lay down rifts in space are severely limited when compared to Valve’s massive hit. The thing is, this doesn’t matter. The influences that would be dismissed as derivative in a lesser title are stitched together here to create an engaging experience bereft of annoying nonsense. Darksiders is all killer, no filler. Some might balk at the Todd McFarlane style of story theme and design. It can feel like a ’90s era “edgy” comic, coming with a gruff, humorless hero spilling viscera like the landscape is naught but a canvas for the grossest Jackson Pollack painting conceived. That would only be taking it at face value; looking past the surface, one quickly realizes that the Darksiders universe is a satire of that entire subgenre of entertainment. Witness Mark Hamill’s turn as The Watcher as he gloriously squeezes every bit of silliness out of his lines. Even the fact that the supposedly fearsome Charred Council are hunks of rock was intentionally done for parody’s sake. It’s a smartly done send up that still gets out of its own way when it comes time to play the game. There may be a temptation to ignore this release as its sequel, Darksiders 2, has already seen a current gen release in the form of the Deathinitive Edition. First of all, these names… Second, that would be a huge disservice to the player. In a smart move, each title compliments the other. Death stars in the sequel that is brimming with random loot drops and RPG-type quests. While this was a great title in its own right and worthy of play, the focused, cohesive gameplay found in the original managed to create a better piece of entertainment. Price tends not to play a part in our reviews as they tend to drop in a reasonably quick amount of time. Sales and price drops are the norm, the quality of the product remains the same. Still, it seems like one should point out the absolutely reasonable price point that publisher THQNordic has launched this re-release at. Charging twenty dollars (U.S.) out of the gate for the remastering of a solid title is something that other publishers should notice. Without naming names, more work was obviously put into this version than supposed upgrades of other games have seen their move to the current gen sold at a higher price than this. Therefore, special acknowledgement of this move is in order. 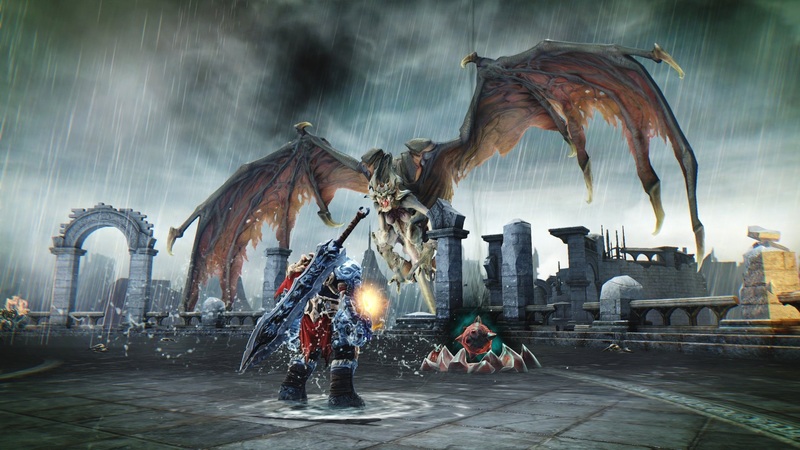 Loaded with humor, skill-based action and interesting brainteasers, the original Darksiders is one of the best games to come out of the last generation. It takes numerous recipes from other games and creates an adventure that’s worth taking. 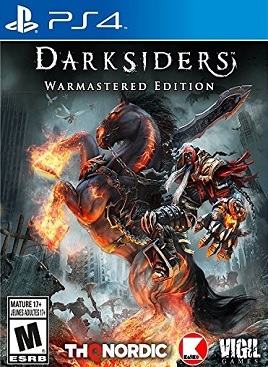 Having a better looking version of that sold at a fair price made available to the current gen makes Darksiders: Warmastered Edition absolutely worth the time.